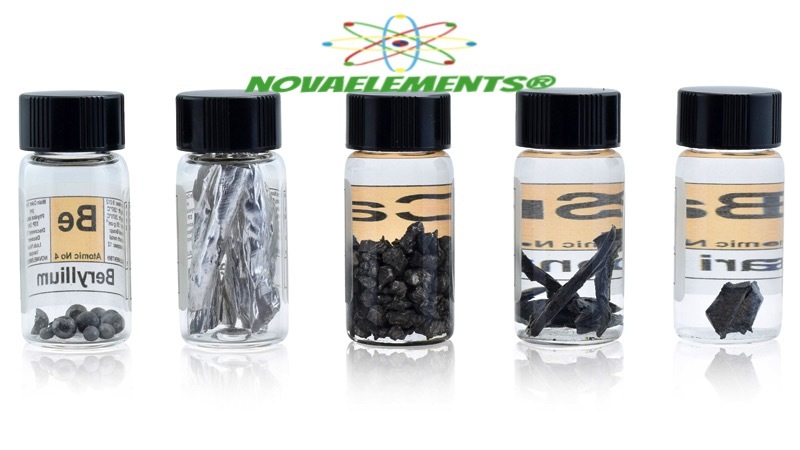 high purity alkali-earth metals set including Beryllium 0,5 grams 99,9%, Magnesium flakes fulfilled vial 99,9%, Calcium 2 gram 99,9% shiny pellets, Strontium 1 gram dendritic 99,8%, Barium 1 gram 99,6%. 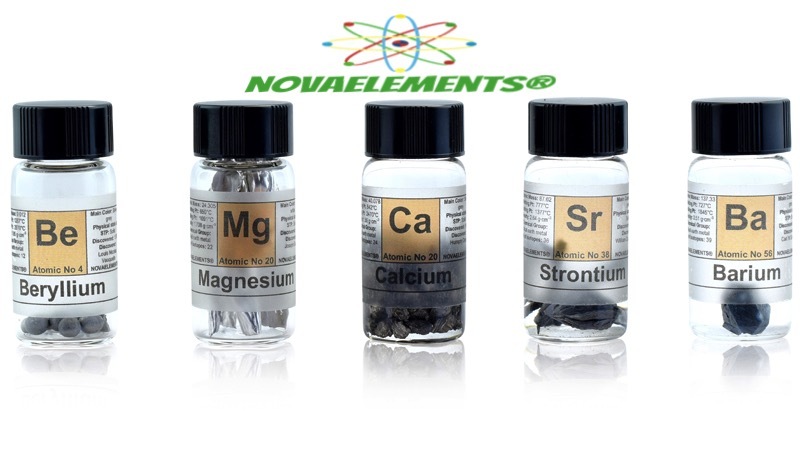 Calcium, strontium and barium are stored under mineral oil. each vials comes with our beautiful colored labels.